Denim can be a tricky thing to pull-off in the summer – skinny jeans and heat do not go together and denim shorts and skirts don’t always tick the appropriate or practical dressing boxes. Enter boyfriend jeans – the answer to your summer sartorial dilemmas.They are the epitome of off-duty chic, but with clever styling they can be transformed into a great evening or officewear option. If you like sparkly, pretty things then there is no reason why you can’t work them into a denim look for a big night out. 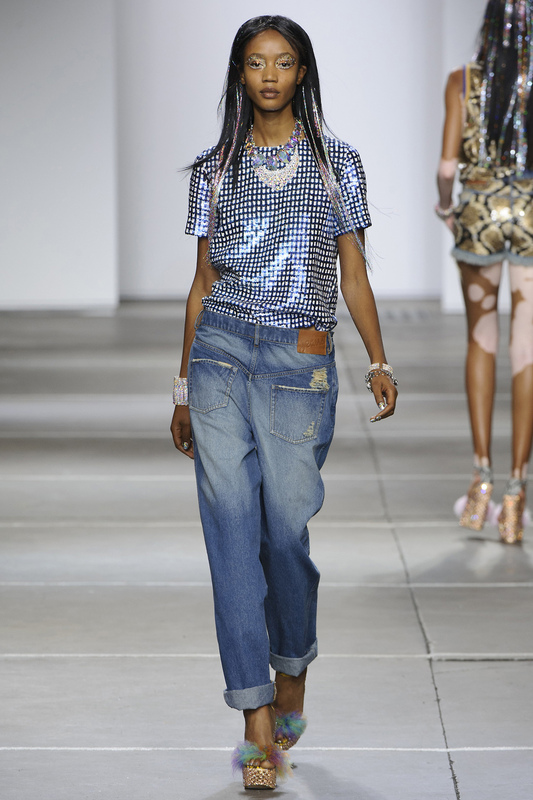 As seen on the Ashish SS15 catwalks, models were sent down the runways in sparkly sequin tops, statement heels and beautiful boyfriend jeans. If sparkles aren’t your thing, then a silk cami with strappy heels or statement flats will also take your jeans from day to night seamlessly. 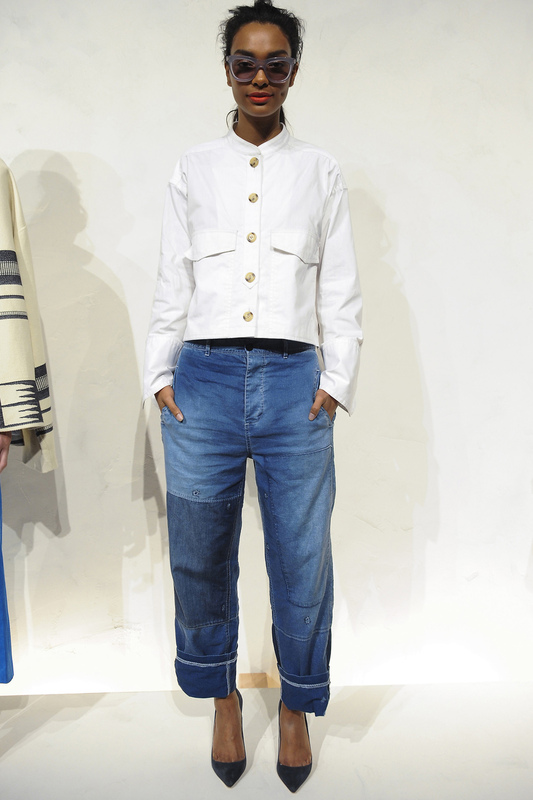 Patchwork jeans can look a bit dressed down, but J Crew shows us how to turn a very casual jean into a very chic ensemble. The key here is to roll them up and flash some ankle to give the illusion of a longer silhouette. If you’re worried about what footwear to go for, just think mules, sandals or courts. Here, the look is pulled together perfectly with a smart cropped jacket and classic courts, accessorised with sunglasses and polished off with a red lippy. 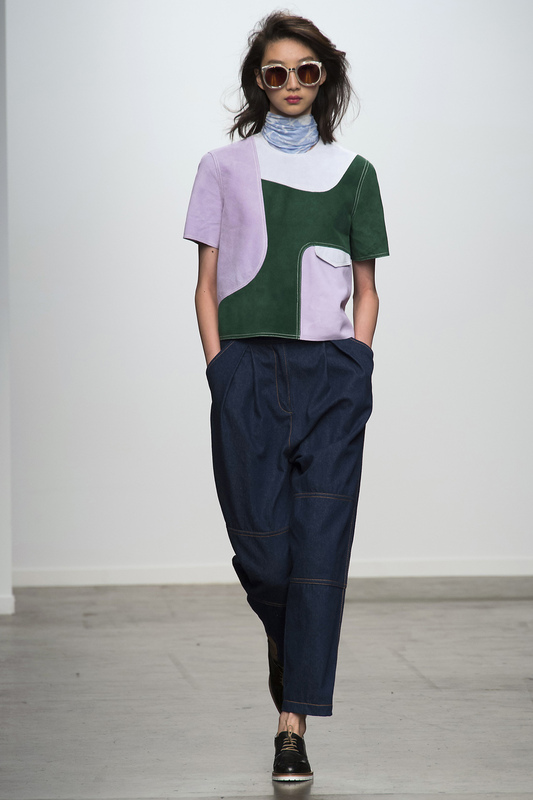 Take a few tips from Karen Walker on how to do smart-casual for the office. Basically just add a brogue and you’re good and they prove you don’t have to wear a heel to smarten things up. Team with a boxy shaped top or a crisp white shirt and keep accessories simple and to a minimum.